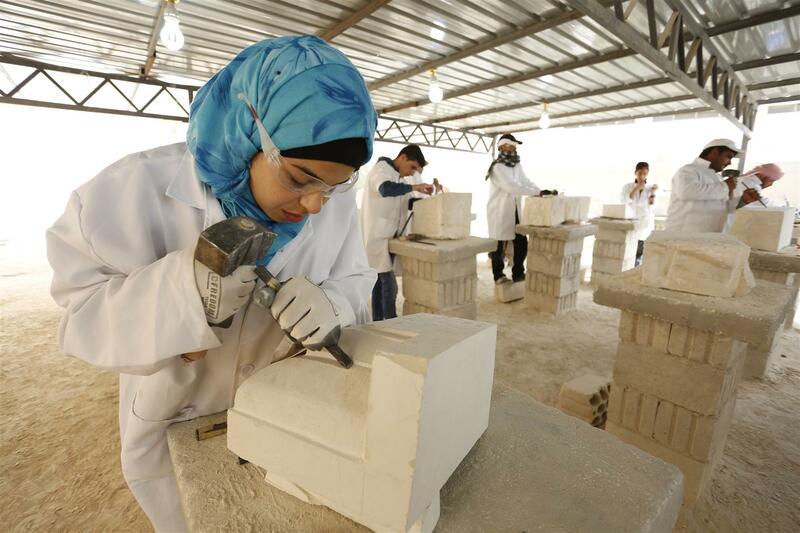 The objective of Phase 2 of our project in Mafraq is to build upon the foundation of the pilot project, extending and refining skills learnt with greater emphasis on conservation, and taking students to the next level of ability. A small cadre of 20 of the most talented students, both Jordanian and Syrian will be selected to take part in the intensive 6-month training programme. Core teaching subjects would continue to be masonry and the conservation of stone structures, but delivered at a higher level, enhancing the impressive skillset and introducing new techniques. 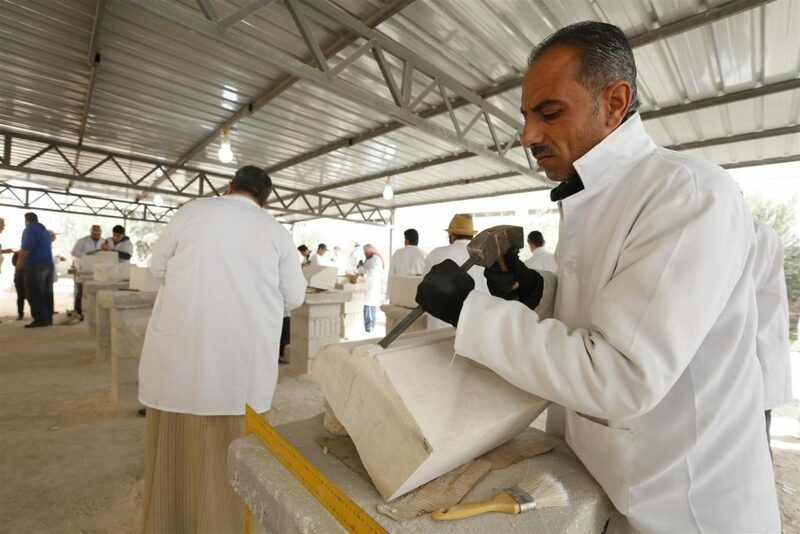 In addition, we will introduce new modules on letter-carving and working with plaster and mortar in the context of stonemasonry, to broaden the students’ skills. 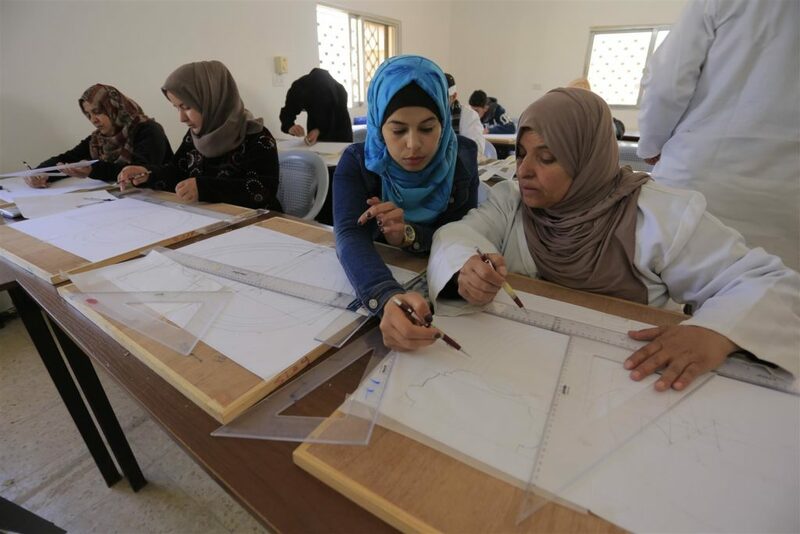 Training will take place at a training centre in Mafraq and will be extended to the full working day, allowing for a more intensive programme. The ambition is to contribute towards the practical conservation and restoration of an appropriate historic site, monument or building in Jordan in partnership with the relevant curatorial authorities, probably as part of an existing conservation programme. This has a two-fold benefit – firstly, our students would be involved in the application of their work, supporting the Conservation in Practice module of their course and giving them a tangible CV and legacy. And secondly, a monument or historic building would benefit from conservation and restoration.